ATOMS in Solid-State Circuits Magazine! Our work on ATOMS has been published in the Fall edition of the Solid-State Circuits Magazine. Emami A & Monge M. MRI-Inspired High-Resolution Localization for Biomedical Applications: Artificial Nuclear Spins on a Chip.IEEE Solid-State Circuits Magazine 10, 34-42 (2018). The Integrated Medical Electronics Lab has officially opened at the University of Southern California, joining the Ming Hsieh Department of Electrical Engineering and the new Institute for Technology and Medical Systems Innovation! ATOMS selected as Top 10 interdisciplinary research published in NatBME during its first year! 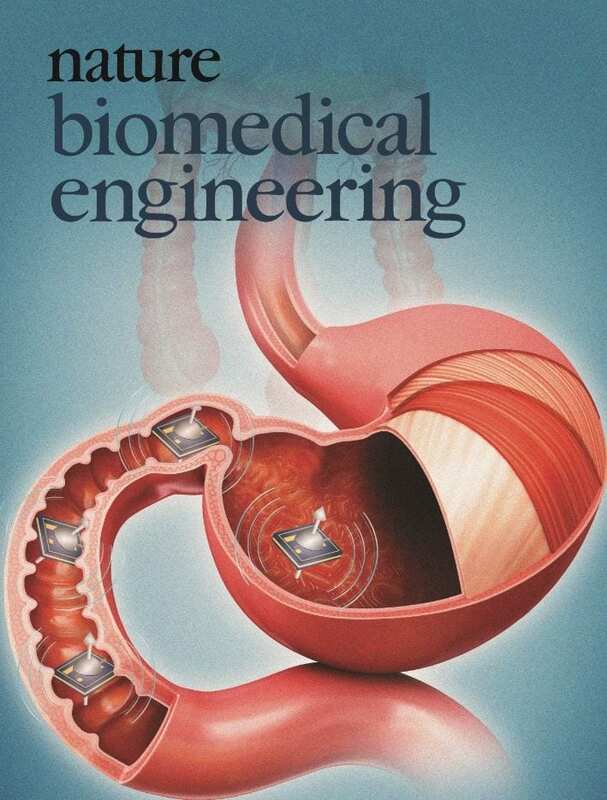 Our work on localization of microscale devices inside the body using principles of nuclear magnetic resonance has just been featured on the cover of Nature Biomedical Engineering! Monge M, Lee-Gosselin A, Shapiro MG*, Emami A*. Localization of microscale devices in vivo using addressable transmitters operated as magnetic spins.Nature Biomedical Engineering 1, 736-744 (2017). Demetriades – Tsafka – Kokkalis Prize in Biotechnology!